2019 Commissioner Deed Sale, April 25, 2019 in the Admin Building Commissioners Chambers. The sale will begin promptly at 10:00 a.m. Local Time, No late bidders will be processed. 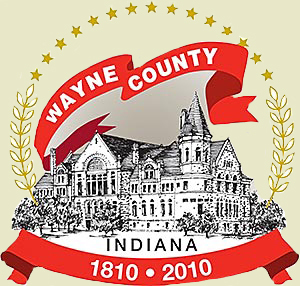 Wayne County Tax Sales are held once a year. The Tax Sale list is published in two local papers, one being the Palladium Item and the other being the Western Wayne News. Lists and Buyer information packets are updated daily and are available in the county Auditors Office or updated Fridays on the county web site at www.co.wayne.in.us If you request a list by mail, you must send a self-addressed stamped envelope with additional postage on the envelope. http://legacy.sri-taxsale.com/Tax/Indiana/Registration (IE8 users please click the compatibility button on the right of the address bar to display the page correctly) to register as a bidder for the sale or go in person to the Wayne County Auditor's Office to register. No late registrations (after 9:50a.m.) the day of sale will be acknowledged. Please come early enough the day of sale to complete the paperwork for bidding if not pre-registered. The Auction is by oral bid and properties are sold to the highest bidder. Bidding starts with all back taxes owed current year taxes and penalties, any and all sewer or weed liens, and tax sale costs. Properties not sold are held for another sale. These are only offered at the time of a public sale. You must be present to bid and all successful bids must be paid for by 3:00 p.m. on the day of the sale at which time you will receive a Tax Sale Certificate for your lien. Payment can be made by bank or business check, money orders, certified funds, or cash. NO CREDIT CARDS OR PERSONAL CHECKS. Certified Funds are due the day of the sale before 3:00 p.m. Any unpaid bids will result in court action. Any questions should be directed to the Auditor's Office at 765-973-9317 or by e-mail at the address above.